ani M INTERIORS profiles this prolific and much missed Modernist master on the 50th anniversary of his death. Le Corbusier was a beloved Swiss-French architect, designer, painter, urban planner, writer and a pioneer of modern architecture. The legacies of his fifty-year career include: Modernist buildings scattered throughout Europe, India and the US; the Purist painting movement, which he established with artist Ozenfant; and a view of urbanisation that saw industrial-style efficiency as the key to higher living standards. An idealist, Le Corbusier was preocupied with simplicity and harmony, applying both to all of his designs. He rejected unnecessary decoration and focused on natural mathmatical ratios to create a sense of scale and proportion. He saw the home as a machine for living and revitalised everyday furniture with industrial techniques and materials. It is a testament to his design flair that his steel tube-framed furniture has transcended decades and trends, looking just as suited to a contemporary interior as suited to the minimalist interiors he created nearly 90 years ago. In 1931, Le Corbusier designed his own collection of solid-colour wallpapers to complete his vision of the ideal home interior. By 1959 he had moved away from solid colour and started to experiment with subtle pattern and texture, favouring squares and dots to complement his interior designs. 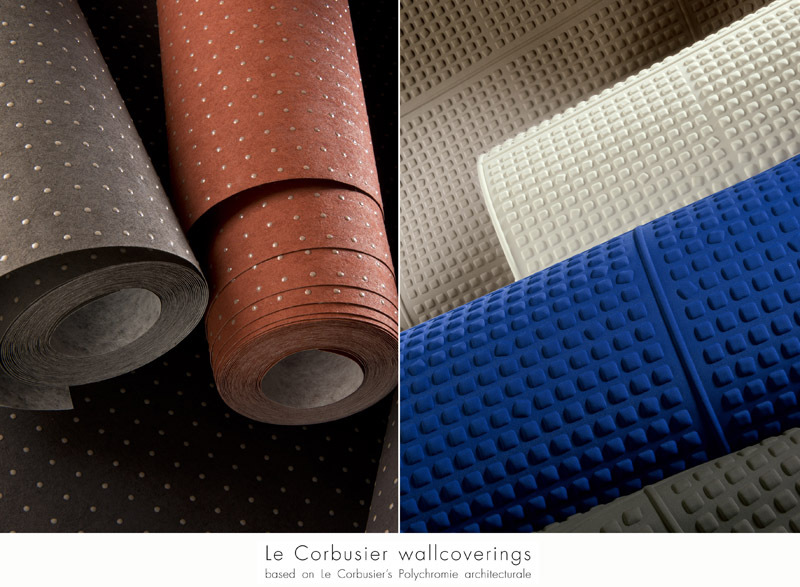 It is with this in mind that Arte, in partnership with Les Couleurs Suisse AG (which owns the worldwide rights to Le Corbusier’s Polychromie architecturale colour palette), has created an inspiring collection of wallpapers. The designs are contemporary re-imaginings of Le Corbusier’s work as though he were working in the present day. It’s a tantalizing idea isn’t it – what would this design purist make of today’s cities and today’s trends? Arte’s collection has evolved Le Corbusier’s ideas and trialed modern printing techniques to bring them to life. ani M INTERIORS has selected two stand-out designs from the collection that are quintessentially Le Corbusier but with a contemporary twist. Dots is a pattern that Le Corbusier used in 1931 for the Salubra S.A. project. He was inspired by the tiny perforations in cardboard. In this incarnation however, the manufacturer has used coloured, glossy ink dots that appear and disappear under certain lighting conditions. Against the matt of the paper, the sheen of the dots has a spectacular effect. ani M INTERIORS’ design team suggest using this on a grand scale feature wall, picking out the colour with subtle accessories throughout the room such as cushions and rugs. The second stand-out design for the team is Squares. In 1959, Le Corbusier created a second collection for Salubra S.A. that was inspired by windows. Specifically, how windows punctuate a building. For Le Corbusier, the grid of windows brought a comforting regularity to the expanse of a building and he often used this ‘pattern’ on the buildings he designed. Squares is a small grid interrupted at regular intervals. The contemporary twist here is that the shape has been heat pressed into the paper making it irresistibly tactile. It plays with the dimension of light, so it looks different depending on the time of day and its position in the room. 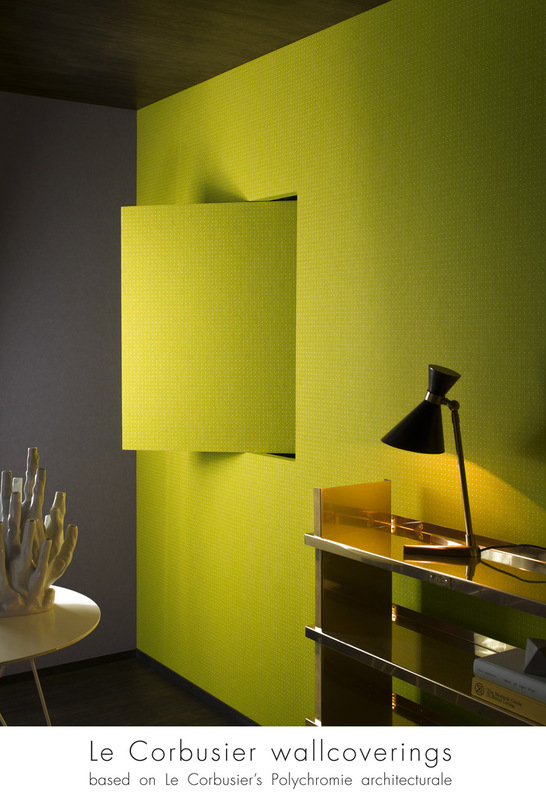 The manufacturer has even noted that the wallpaper has the power to alter the acoustics of a room. For the interior design team, Squares lends itself naturally to a bedroom wall or a quiet, contemplative spot with a comfortable chair. 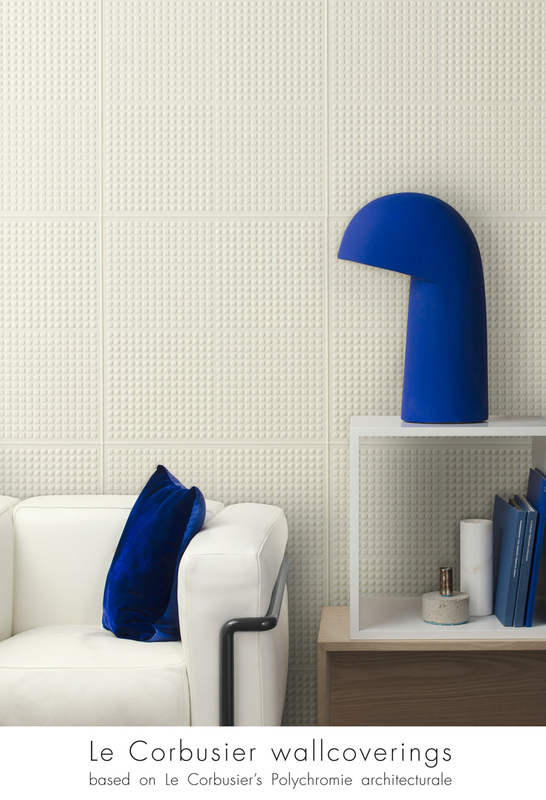 It’s soft to the touch and helps defuse noise to aid relaxation. It has the appeal of looking out over the unlit windows of a cityscape. 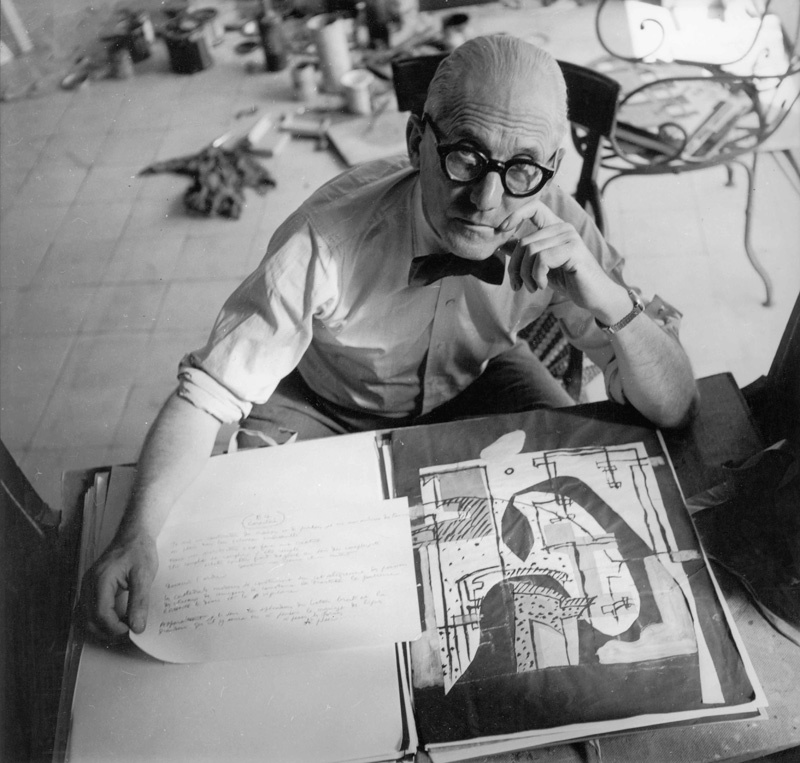 Le Corbusier was a bold and edgy visionary. His designs are still wowing a contemporary audience and continue to inspire the designers of today. If you would like any help creating a Modernist look using Le Corbusier-style furniture or wall coverings in your home, then contact ani M INTERIORS experienced and passionate team.